Backed by years of experience and the collective expertise of our staff, we guarantee that the health of your loved one at home is in capable hands. Our agency allows for your continued treatment in the safe and comfortable setting of your own home. Your family crisis won’t have to last long. 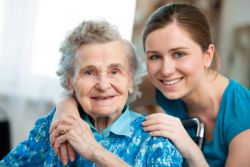 When you partner with At Talitha Cumi Home Care, Inc., personalized home care solutions are easily accessible. Depending on availability, we can assign case manager, or nursing aide to your case in at least 24 hours from the time that you call to request for services. Referrals submitted to our agency are also attended to promptly and will be contacted by At Talitha Cumi Home Care, Inc. within 24 to 48 hours from the time we receive their contact information and pertinent details of their health conditions. Our case management staff can assist you with referrals to community programs such as Medicaid Waiver, Long Term Care Program, PAC Waiver, Cystic Fibrosis Waiver, People with Disability Waiver, assist with Medicaid Application, Medicare Part D Drug coverage. Referrals to Assisted Living Facility, Adult Day Care and assistance with your social services needs.